This deft amalgam of biography, film history, and analysis is a superb portrait of a true pioneer who was critically important to the creation of cinema as the defining art form of the twentieth century. Douglas Fairbanks (1883-1939) was one of the first film superstars, a screenwriter, a major independent producer during the early studio era, a cofounder of United Artists, a founder and the first president of the Academy of Motion Picture Arts and Sciences, and much more. The optimism, energy, and huge success during the 1920s of his best-remembered films The Mark of Zorro, Douglas Fairbanks in Robin Hood, The Thief of Bagdad, and The Black Pirate made Fairbanks a popular hero throughout the world and showcased his talents as a creative producer whose work set the standard for excellence. 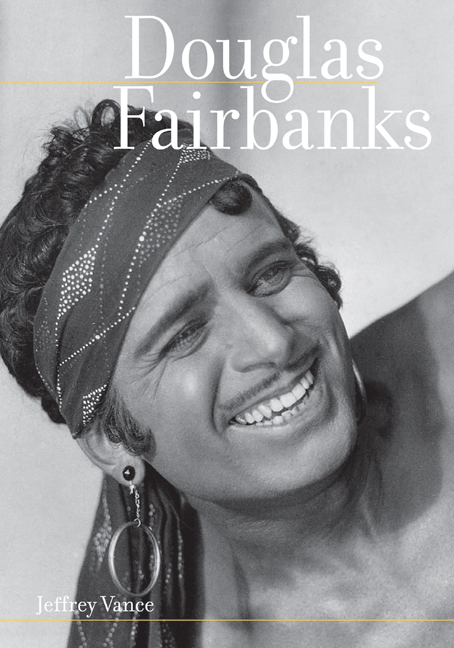 Douglas Fairbanks takes the full measure of Fairbanks's remarkable life. Jeffrey Vance, who had complete access to the star's personal and professional papers and scrapbooks, also incorporates 237 photographs, some unseen for more than seventy-five years. Extensively researched, engagingly written, and sumptuously designed, the book goes behind Fairbanks's public persona to thoroughly explore his art and his far-reaching influence. Jeffrey Vance is a film historian, producer, and lecturer as well as the author of an acclaimed trilogy of books on the great triumvirate of silent-film comedy: Chaplin: Genius of the Cinema, Harold Lloyd: Master Comedian (with Suzanne Lloyd), and Buster Keaton Remembered (with Eleanor Keaton).